Yesterday I discussed on our sister site GlancingWeb that Viddy is on its way to become the Instagram for video. But apparently that the Instagram for photo is… still Instagram. Now more than ever with monstrous growth and gigantic community of photo-sharing users. It appears that already more than 50 million users have joined the popular photo-sharing service and Mashable is reporting that people just keeps flowing into the app in an amazing growth rate of 5 million a week. According to third party APIs INK361 and Statigram the the 50 million user is fox289 (Eric Ruiz). It’s hard to believe that just at the beginning of the year Instagram considered a close niche community with “only” 16 million members, which in less than six months more than tripled. Now, the countdown for 100 million users has began and in this current pace Instagram could easily get there within three months. Becoming Available On Android- Until about a month ago Instagram was only available for iOS users through the App Store. 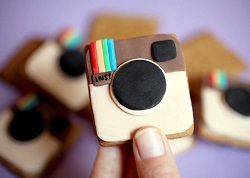 Becoming available for users that are using Android devices opened up Instagram for about 50% of the mobile market. Facebook Acquisition- After Facebook bought Instagram for the astonishing sum of $1 billion deal worth (30% in cash, 70% in shares), it naturally attracted a lot of buzz worldwide. The acquisition by itself constituted as great PR and as a vote of confidence by the largest social network in the quality of the small photo-sharing service. On the middle of this fast journey in which Instagram became big and influential social service, it had to take some more responsibility and couple of weeks ago it announced it is changing its terms and guidelines in order to fight more aggressively with self-harm contents on the service. Anyway, right now it seems that Mark Zuckerberg has the touch of King Midas and with the current progress of Instagram it won’t take too long before the $1 billion acquisition would turn out to be ridiculously funny sum (well, as much as $1 billion could sound funny).